If you haven't been frantically chasing Snapchat's Spectacles vending machine around America this week, you may have found time to catch up on some of the other news. Such as the arrival of Vinci's quirky smart headphones, Google's push to get VR into schools around the UK, the glamorous new Withings Steel Gold, and word that Apple is working on a pair of AR smartglasses. But what about the stuff that didn't make the main headlines? Let's take a look at some of the smaller stories and rumours from the last seven days. 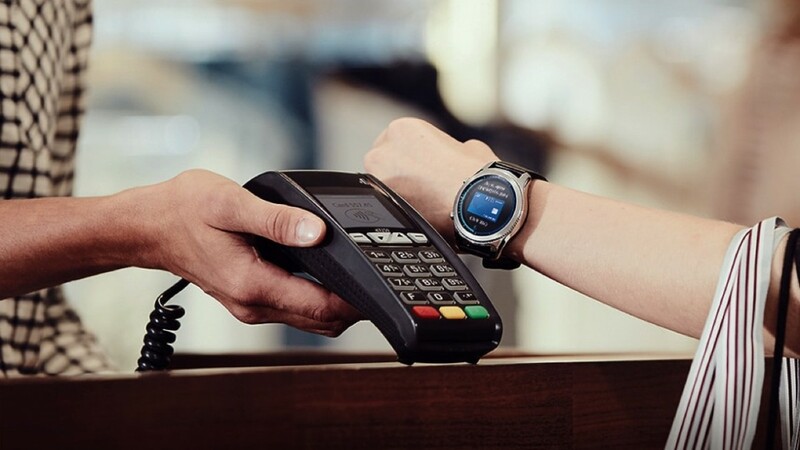 Samsung's Gear S3 smartwatches have finally arrived, and they come bearing good news: Samsung Pay will work regardless of your choice of Android smartphone. Until now the service has been exclusive to Samsung phone users, but it's being widened out to anyone else using an Android 4.4 KitKat smartphone with the S3 watch. As Pay is such a big feature for the smartwatch, the move certainly makes sense, and gives the payments platform a better chance at taking off. Right now the Samsung Pay app is exclusive to Samsung phones, and it's not yet clear if it will simply be stuck on the Google Play Store, or if it will work in another way. This week AT&T announced that customers will be able to send messages through Amazon's Alexa assistant. You'll just have to say "Have AT&T text" followed by the name of the contact, followed by the message you want to send. You'll need to add the contacts to Alexa first, but once you have it'll offer an easy way of sending a quick message when you can't be bothered to pick up the phone. We're not sure we'd rely on it when spelling is of utmost importance, but otherwise we reckon it could be handy, and hopefully something other networks will follow in the near future. We all know how important it is to keep your hydration up, and Styr Labs this week announced a smart water bottle to help you keep a better eye on your water intake. Not only does it track your hydration and activity through the day, it delivers reminders to ensure you're topping up. There's a little touch display on the cap that will display your progress, but naturally there's a companion app too where you'll get a more detailed overview of your custom fluid intakes and electrolyte recommendations. At $59 it's rather dear for a water bottle, but at least you'll have no excuse for not getting enough fluids. Earlier this year we told you about the Myo band, Thalmic Labs' gesture-control wearable. Worn on the forearm, the device is able to track movement with impressive precision - and it's being used in some incredible ways. Now, the company is on a big hiring spree, mobilesyrup reports, hinting that its next wearable is on the way. The mission statement on the website reads: "We're making revolutionary wearable technologies that will fundamentally change the way we interact with computers" - and we can't wait. Check out the big headlines of the week on our dedicated news page.